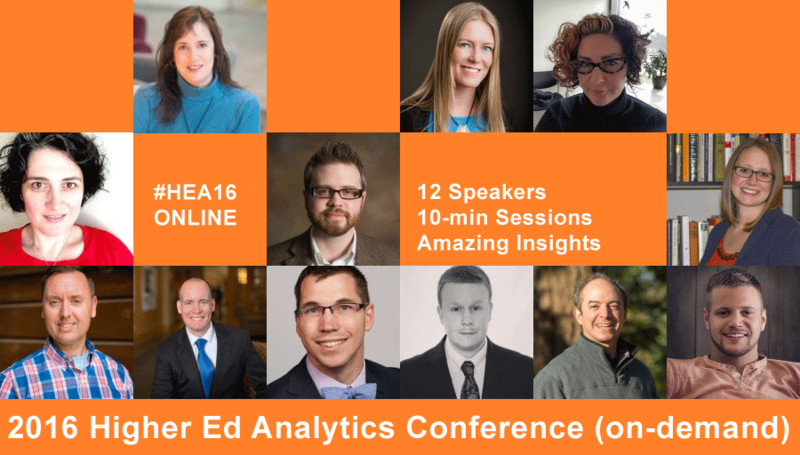 Alan Etkin, Senior Analyst at the British Columbia Institute of Technology, is one of the 12 higher ed professionals presenting at the 2016 Higher Ed Analytics Conference. 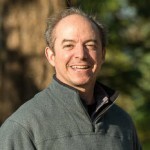 In this 3-question interview, Alan tells us about the biggest surprise of 2015, the main challenge using digital analytics and what colleges and universities should focus on in terms of analytics in 2016. 2015 was the year we started to explore the concept of assisted conversions. What we discovered changed the way we look at the impact of our marketing campaigns. 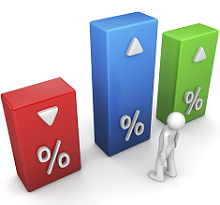 Assisted conversions is a Google Analytics reporting feature that not only tracks the direct conversions from someone who responded to an ad and converted in the same visit, but it also tracks the more realistic scenario where someone responds to an ad, visits the site, goes away and returns to convert at a later date. In the lingo of GA, the conversion was assisted by the original ad. We used to begrudgingly report on our marketing campaigns at the end of each month with the traditional metrics of impressions, clicks, visits, and conversions. I say begrudgingly because even if impressions and visits were looking good, conversions were mostly pathetic. We calculated that our median days to conversion was 30 days – meaning that we weren’t reporting on the link between our ads and outcomes. The next piece in solving the puzzle of how our marketing spend was actually doing, was to use another GA feature called lookback, which connects your current reporting period with conversion activity that took place earlier. In the assisted conversion reports, you can set the lookback as far as 90 days. Think about it: you’re running a 3 month campaign, and in the 3rd month, you can associate conversions with folks who saw the ad back when the campaign started. We can now identify that a campaign had 25 direct conversions in a month, and 400 assisted conversions from people who saw the advertising earlier. Add in goal values and marketing spend, and we get awesome, world-changing reports that accurately reflect our return on advertising spend. The biggest challenge I have with digital analytics is to dispel the notion that it’s a one-off-and-done activity. The pace of new features in GA is just short of being overwhelming in and of itself. Add changes to business processes on campus and changes to websites, and the once beautiful, or merely adequate, tracking you had in place, quickly becomes less than adequate, often without you even realizing it. Analytics takes time to get in place, time to stay on top of, and even more time to operationalize. The reality of this is not well understood on my campus – and on the other universities and colleges I’ve worked with. I constantly struggle with the tension this creates. My strategy is to make the reports and analysis I provide as valuable as possible, or even better, to make it indispensable. Where I’m seeing the most success is with reports that include dollar values showing conversions, the value of content and the effectiveness of our marketing efforts. This one is simple to answer: track your key conversions as monetized goals! It’s not so simple to do, but it will give you the biggest lift in the value and impact of your analytics activity.